The energy market in Greece developed very rapidly during the last few years and it became an investment friendly economic sector. The legal framework that has been enacted recently ensures that the potential investors will have the prerequisite legal safety net. Furthermore, the new energy policy facilitates the necessary licensing procedures and it can ensure financial granting more easily. In particular, the new energy policy in Greece has been harmonized with the equivalent European policies. The presence of foreigner entrepreneurs, the adoption of new technologies as well as the increase of return levels, are the first samples of change and evolution in the Greek energy market. Moreover, many investors from around the world are attracted to invest in Greece due to its geographical and strategic position. Greece had become an important player not only in South Europe, but in the whole European energy map in general, because the country connects Europe with other continents. Greece is a great commercial and transport hub, a connection point between Europe and Asia. The takeover of Piraeus Container Terminal by Cosco Company was not an accidental incident. Last but not least, there is a gas pipeline which was constructed to deliver large amount of gas from Azerbaijan, through Turkey, Northern Greece, Adriatic Sea and Italy to Central Europe. There are some facts that indicate that Greece is a popular destination for investments in energy market: the efforts by the Greek government to privatize the power corporation, the increasing importance of renewable sources of energy as shown through the European energy policies, and finally the large amount of oil and gas reserves in Greece. For every single form of renewable energy source, the corresponding legal framework has been created that can ensure financial granting. The legal framework does not only cover the traditional forms of renewable energy sources, i.e. solar and wind energy, but it also covers solar power plants, biofuels and biomass plants as well as off-shore energy plants. According to the Kyoto Protocol and the relevant European directives, Greece is binded to produce 40% of its electric energy through the use of renewable energy sources. The European directives are very clearly stated and they set long-term goals regarding the renewable energy sources market in Greece. So the potential investors have the opportunity to schedule their investment even better. Greece achieved a great success in the sector of photovoltaics, during the last years. The demand was increasing due to the high feed-in tariffs and the high efficiency rates, the foreigner investors were holding a very high share among all the investments in renewable energy sources. Photovoltaics were not only placed in outdoor fields, but upon roof of houses as well. This type of energy plays the most significant role in the renewable energy sources sector. 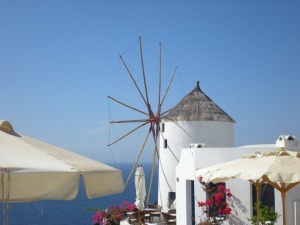 In Greece, the state provides special advantages for that kind of investments. Greece appeals investments for exploitation of wind energy, because the wind efficiency may reach up to 8 meters/second and at the same time the wind parks may operate for more than 2.500 hours. For the time being, the efficiency of the existing wind parks may reach up to 1.400MW. The target though is to increase the number of wind parks in order to increase the efficiency up to 9.000 MW. Numbers suggest that the Greek market has plenty possibilities for further investments. Biomass and biofuels both are an important branch of the renewable energy sources sector and it is expected that these types of energy will have high growth potential in the future. They also guarantee high feed-in tariffs and significant profits for the investors. Furthermore, there is an abundant amount of raw material of biomass that can be used to produce energy. This raw material can be found in the agricultural sector which accounts for more 5% of the GDP (almost triple comparing to the European average). In addition to the above, the Greek government committed that by the year 2020, 10% of the total current transport fuels will be replaced by biofuels. The investment opportunity that arises through this commitment is obvious. The legal framework provides for a friendly investment environment which ensures the necessary safeguards and at the same time it guarantees profits. The exiting capacity is 43MW, but local authorities consider biomass a significant sector with high levels of growth potential. The exploitation of bio-gas will play an important role for the production of electrical energy. There is already a great interest on behalf of investors.